La Linea Bella ! Fantastic Framing & Art (LLB) opened in May of 2010. 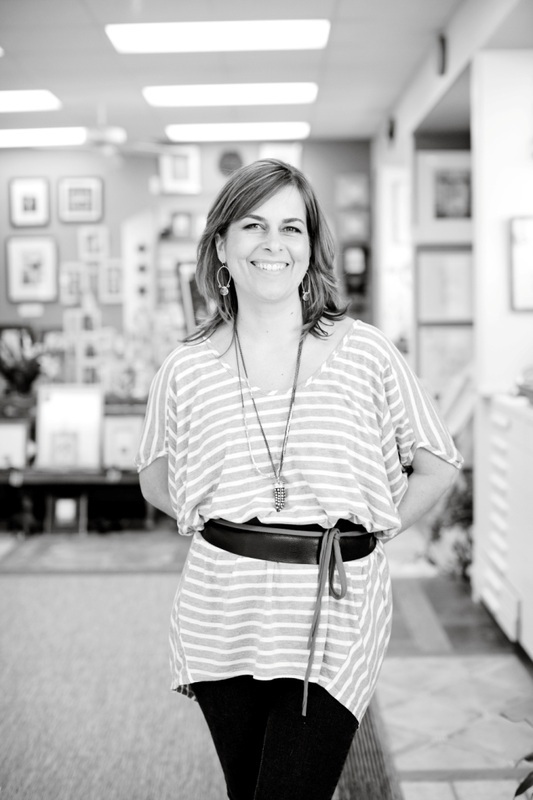 After over 23 years of working in the framing industry, managing several high end frame shops, German born artist Beate Casati (Casa Linguini/Casati Art Studio) decided to set out on her own and opened LLB in the artisan section of Charlottesville, VA. Surrounded by woodworkers, jewelers, metal crafters and other artisans, LLB attracts clients who value great workmanship and design. LLB and her new gallery Atelier ONE specialize in hand crafted framing with a European flare and feature original art, photography and hand crafted jewelry by talented, less main stream local and U.S. artists. The name La Linea Bella means "the beautiful line" and I chose it because I wanted to express my love for beautifully tailored, hand crafted artisanal picture framing. I am originally from Hamburg, Germany. I am a FIne Arts and Printmaking graduate of the Corcoran Gallery of Art & College of Art and Design. I have lived in Charlottesville for almost three decades now. I absolutely love Charlottesville and it's abundance of beauty, landscape, artistic spirit and creative energy. After many years in the framing industry, learning the wonderful trade and supervising and running busy workshops as well as working on and constructing much of the work myself, I decided to set out on my own in 2010 both as a working artist and a super-passionate picture framer. I think that growing up in Europe exposed me to a beautiful aesthetic that has stayed with me throughout my life. I opened my new venue "La Linea Bella!" (the beautiful line) in May of 2011, and I have loved every moment of it. I chose a very creative part of town for the location of La Linea Bella: McIntire Plaza is filled with artisans, jewelers, woodworkers, sculptors, painters, seamstresses, massage therapists, florists, bakers, you name it, it's there! To create gorgeous pieces to dress up your walls and enhance your home really is such a rewarding experience for me. Working with designers and frame enthusiasts alike on finding great new solutions for projects can be both challenging and fun: Even if it's "just" a diploma or a simple memory, it still deserves just as much attention and dedication so that it will last you for a long, long time to come! Please pop by and check us out some time soon. Hours are posted on the contact page and I'm also available by appointment. I spend an average of 1 - 1 1/2 hours with each design client, so if you need some extra time, feel free to call ahead: (434) 244-3050. For inspiration about other women in Picture Framing, click here. Copyright La Linea Bella ! Fantastic Framing & Art 2014, all rights reserved. Photos by Amy Benoit and Kay Taylor.